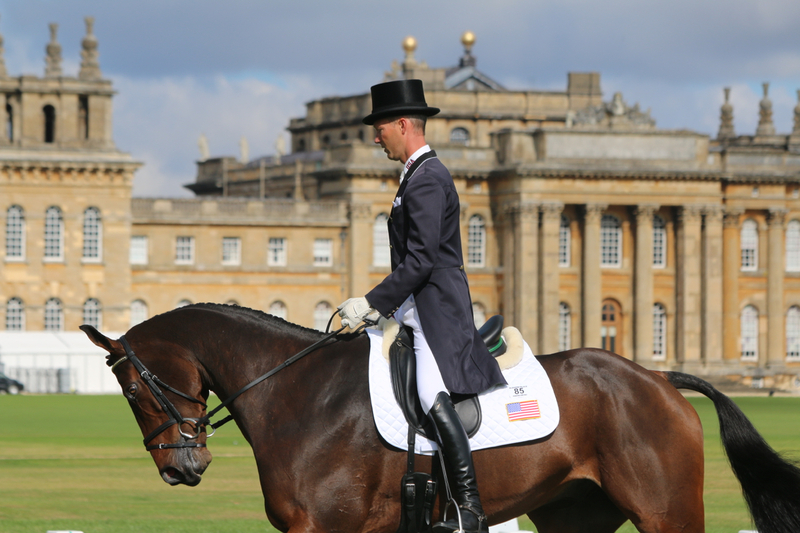 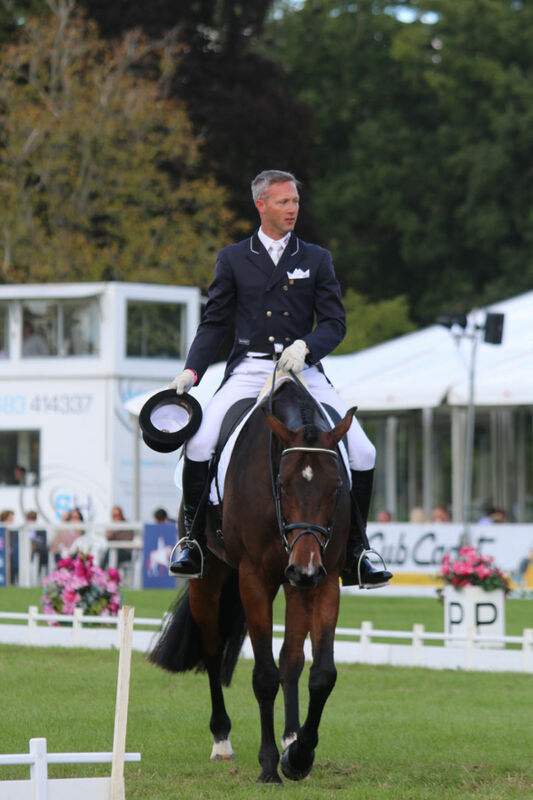 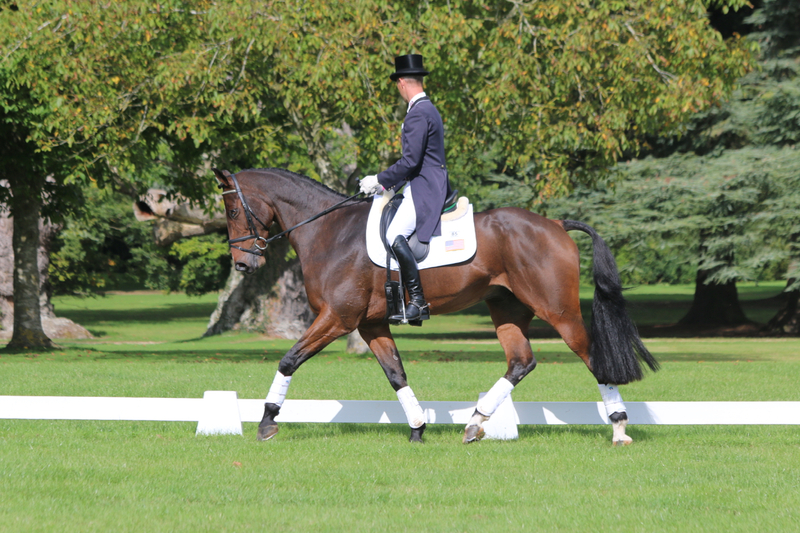 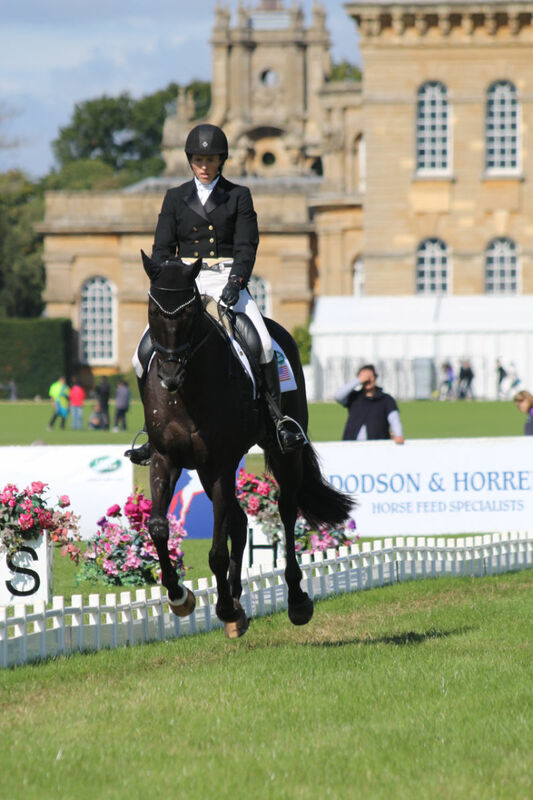 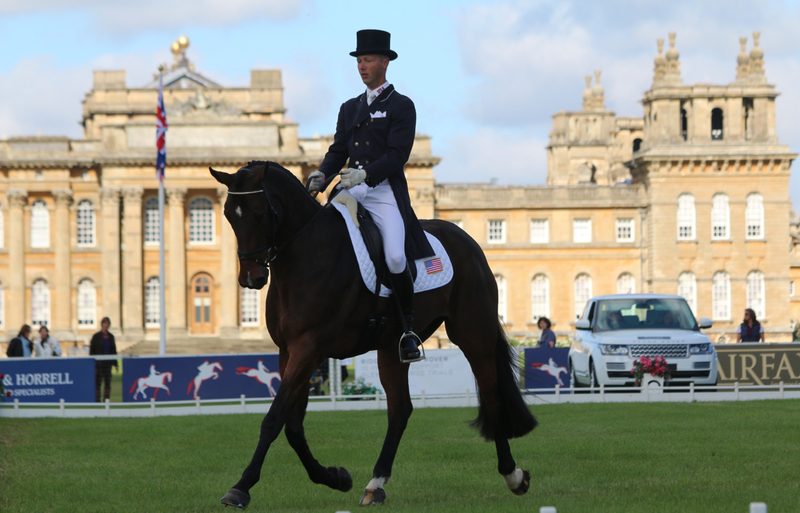 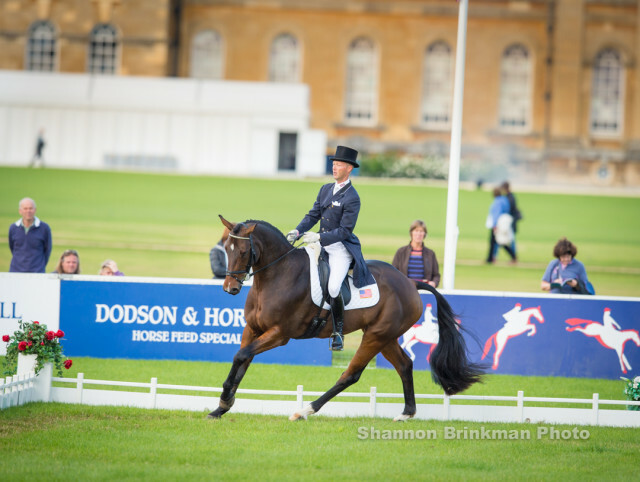 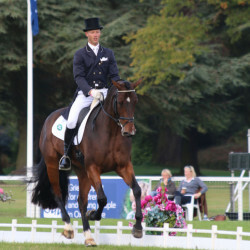 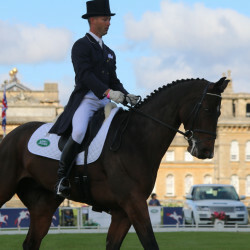 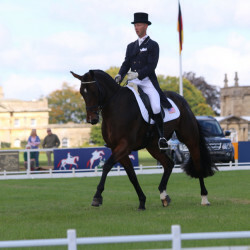 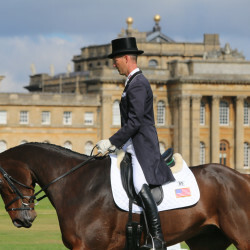 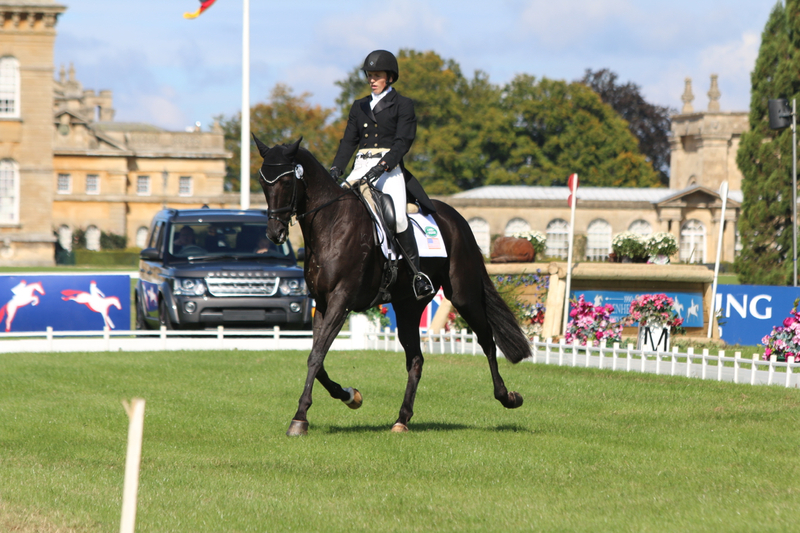 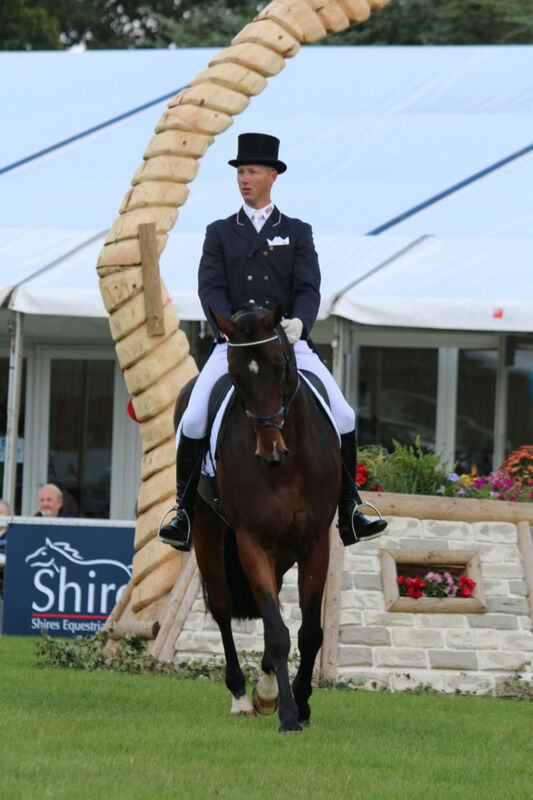 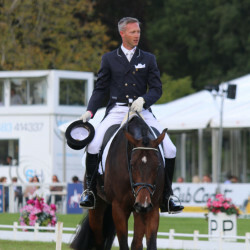 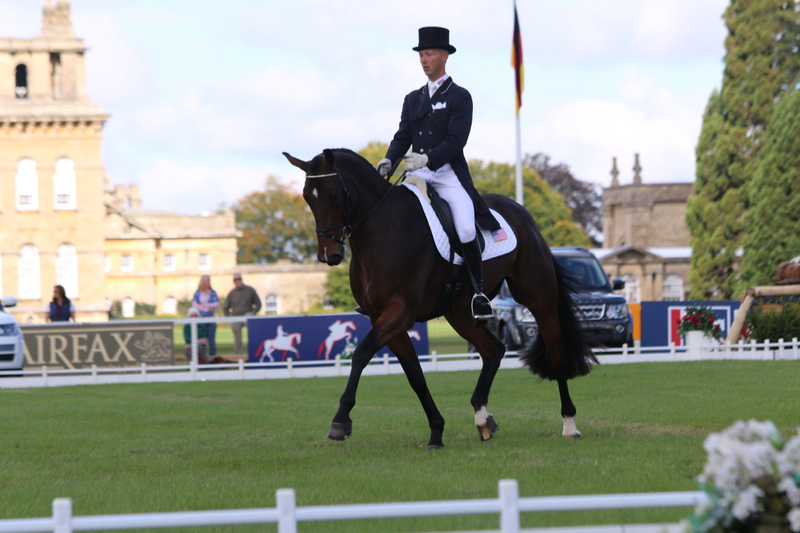 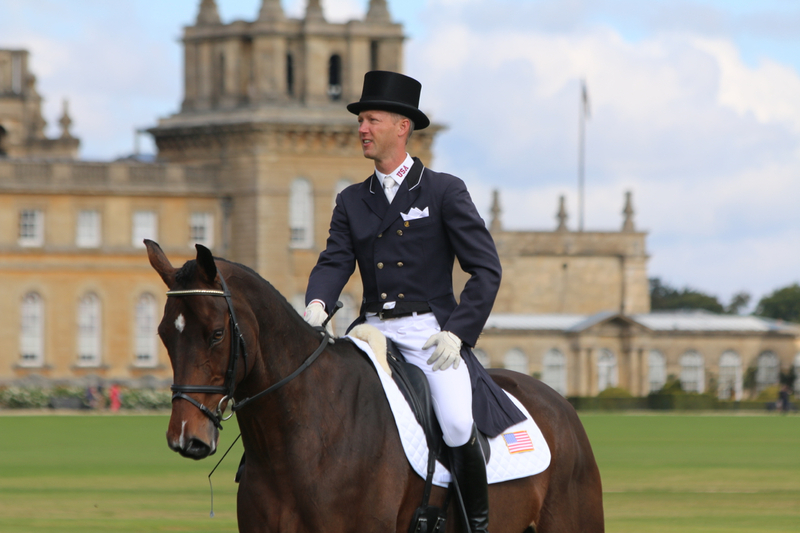 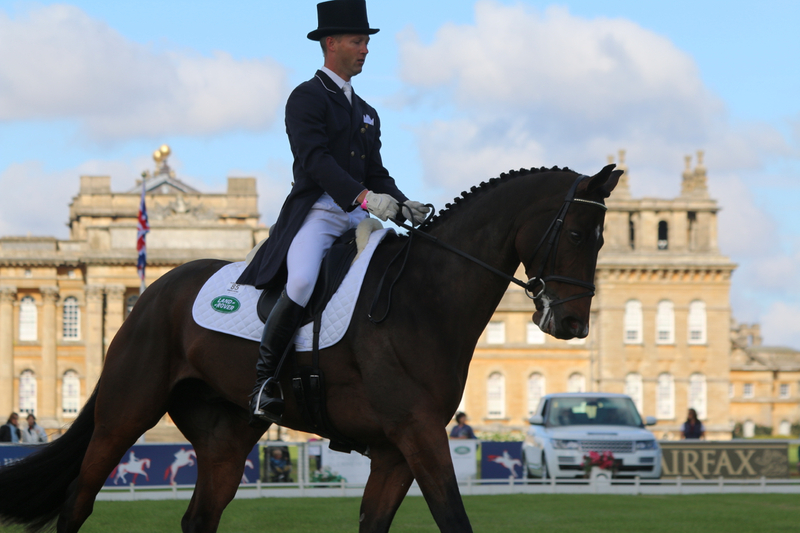 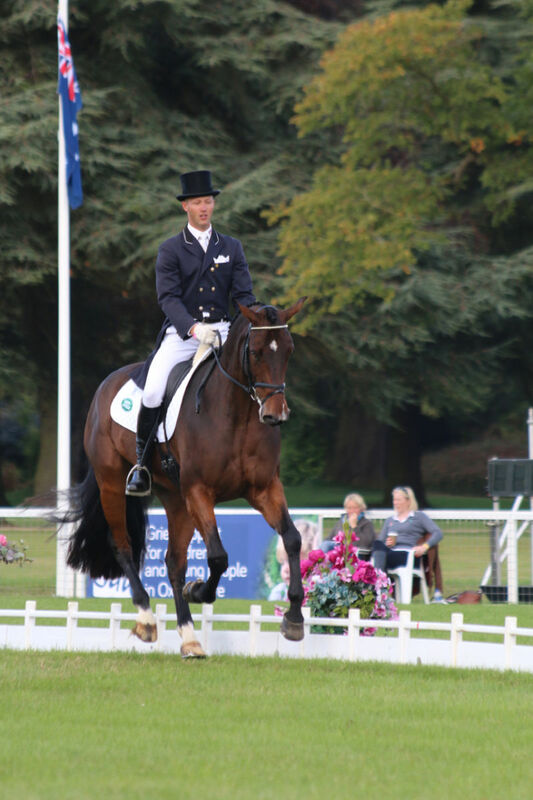 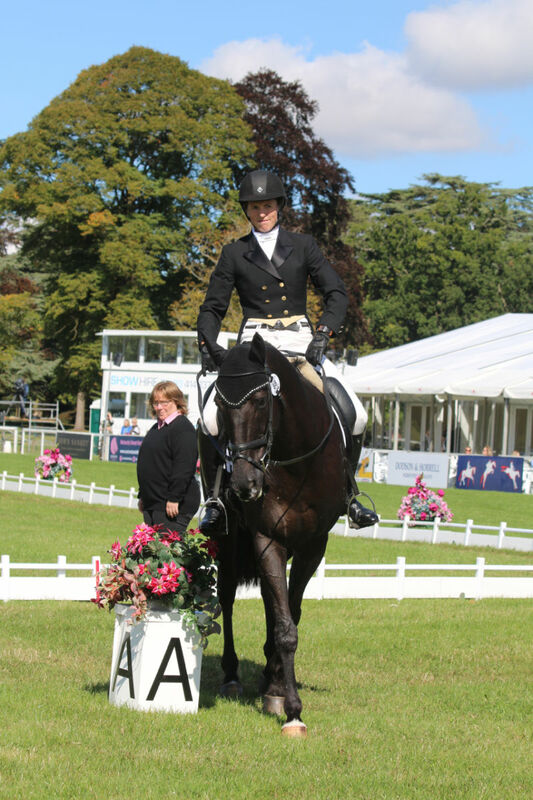 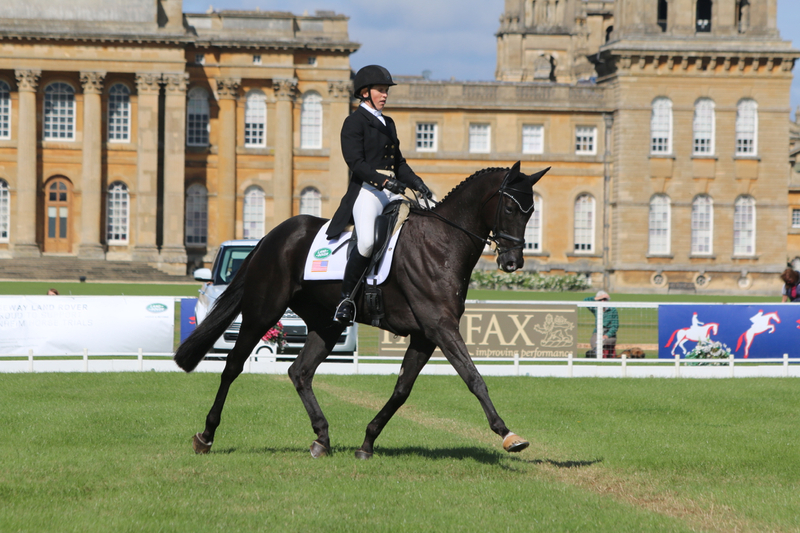 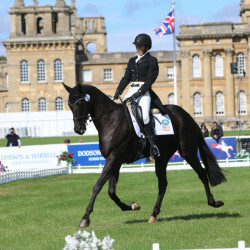 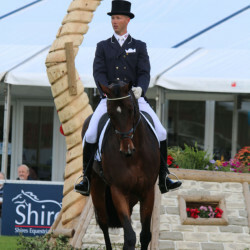 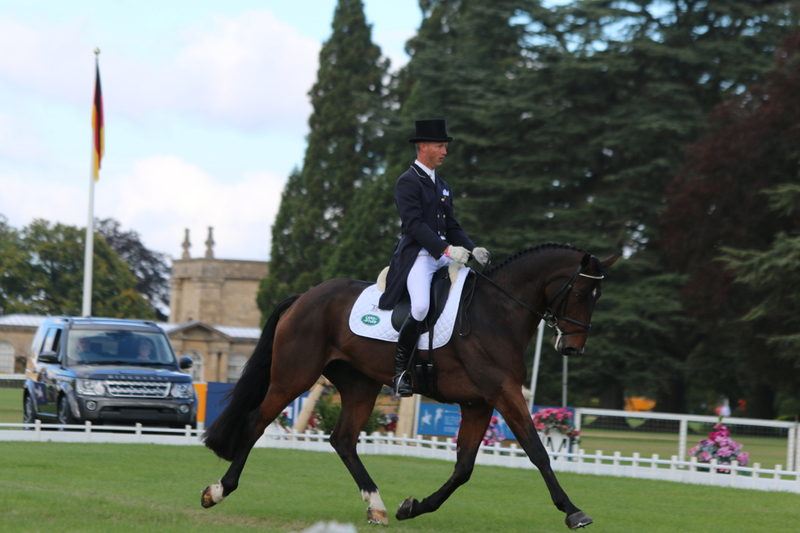 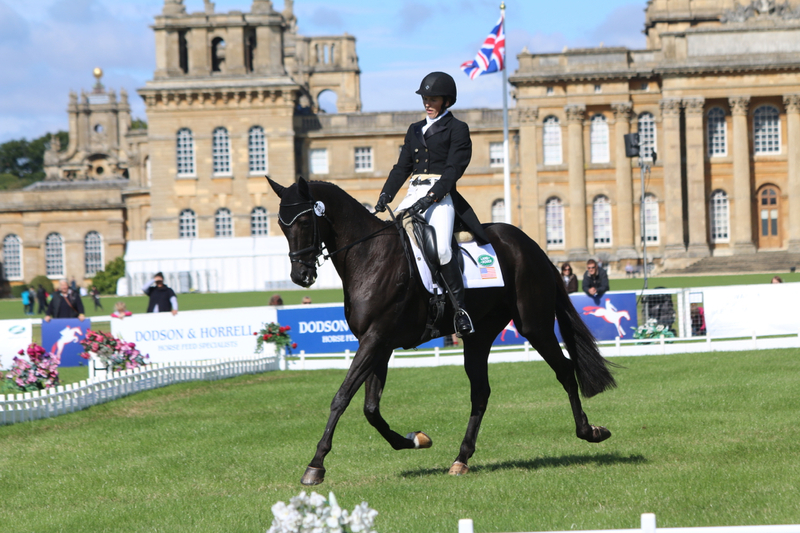 Clark Montgomery and Loughan Glen take command of the Blenheim Palace CCI3* Dressage Phase. 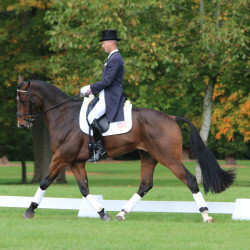 Photo by Shannon Brinkman. 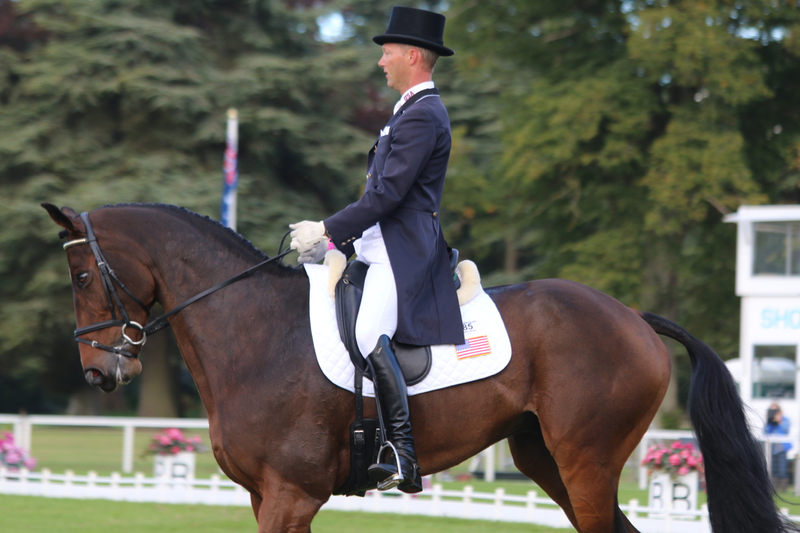 We all expected great things from Clark Montgomery and Loughan Glen and today they didn’t disappoint, turning in their customary beautiful test — forward, up, balanced, pretty much everything you want?….there it is! 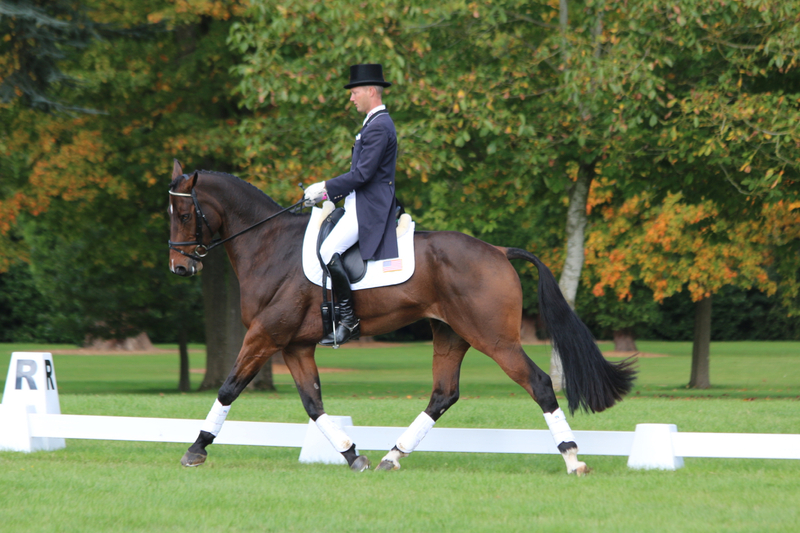 If you had to be picky, and Clark is nothing if not a perfectionist, Glen looked to get a tiny bit on the forehand on the walk, but otherwise it was a gorgeous test, and the judges rewarded it with a resounding 33.8. 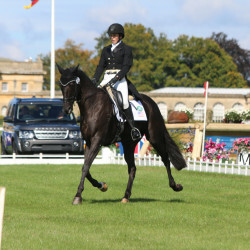 Loughan Glen has blossomed this year, with Clark managing to find the balance of keeping him super fit and yet in the right head space to come out and blow away the competition in the sandbox wherever he is…remember they bested 100 odd of the world’s best at Belton this earlier this year in the spring. 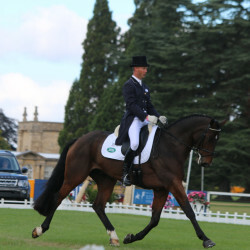 It took a little fine tuning last year when they worked on his fitness and lost a few marks in the first phase but this year they haven’t been beaten, and we’re just crossing everything that it continues. 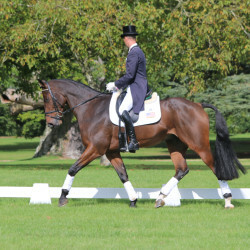 I’ve seen Clark, wife Jess and head girl Karen working at home on the yard and have seen what a tight ship they run and how well they work as a team — no stone is left unturned from the horse’s general happiness and well-being to its performance, work schedule, turnout and every need catered for; it’s no surprise to see Clark’s name back at the top of the leaderboard, and how nice it is, long may it last! 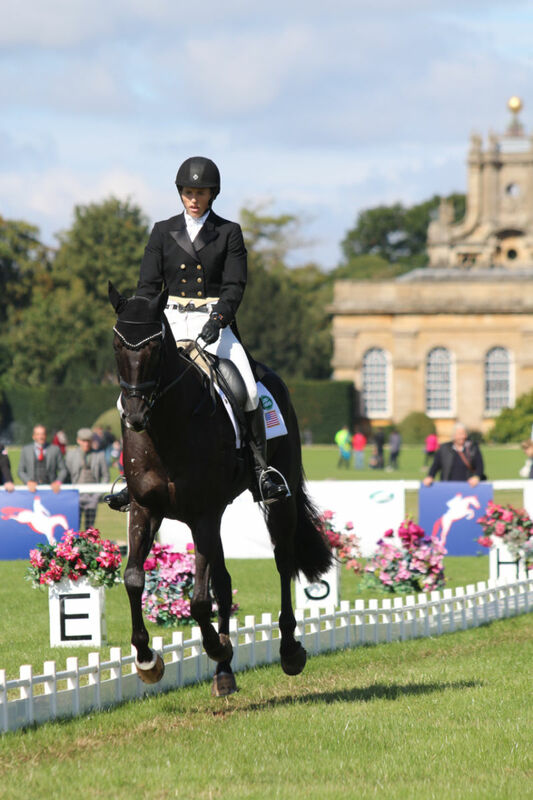 Elisa Wallace was so impressive this year when she made her four star debut at Rolex, and was equally impressive in the main arena today at Blenheim Palace. 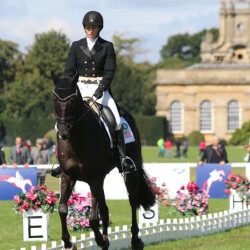 Taking her time before she entered to compose herself and her horse, she rode a mature, poised test with just one late change behind marring what was otherwise a very attractive picture. 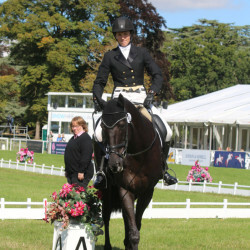 Elisa Wallace and Simply Priceless. 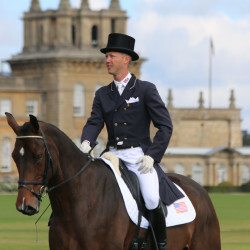 Photo by Samantha Clark. 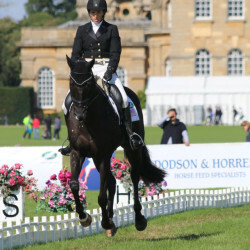 Although ostensibly she’s here to gain experience, and the jumping phases are Simply Priceless’ strengths, this pair looked like the real deal today and unfortunately once again the score doesn’t really reflect it, a 50.1 is pretty harsh, but the good news is that Elisa has a fantastic attitude and we can look forward to seeing so much more of her to come. 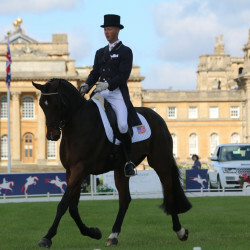 Congratulations to our two U.S. riders today, and the sun shines again! 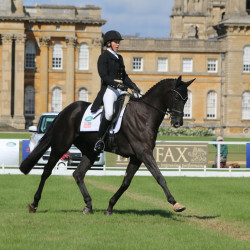 Looking forward to cheering on Emily Beshear later this afternoon, and Kate Chadderton. 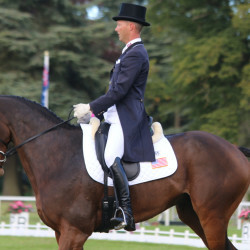 GO U.S. Eventing!